Snowflake Obsidian is black volcanic glass with inclusion of small, white, radially clustered crystals of cristobalite that produce a snowflake pattern. 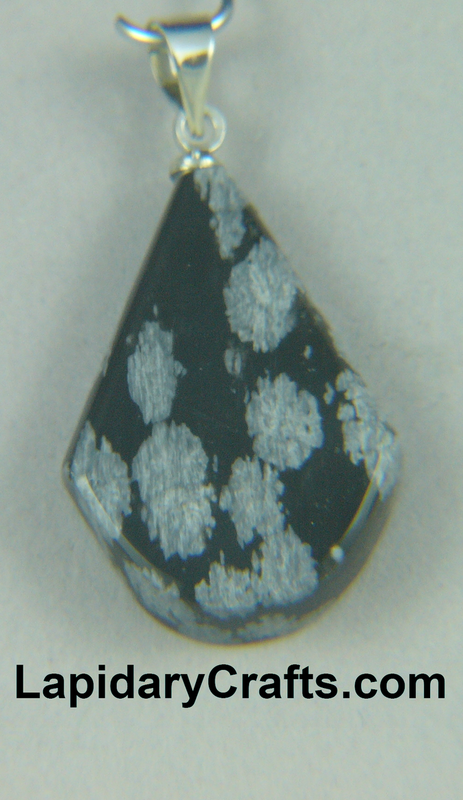 The stone measures 0.94" x 0.68" (24.0 mm x 17.3 mm). Ask about available chains!